Everyone who cares about the quality of the backpack they use has heard of Patagonia, the cult brand of backpackers and school dwellers alike. Known for their durable outdoor apparel and gear, Patagonia are especially appreciated as a maker of sturdy backpacks that are stylish enough for the city and rugged enough for the wild. So, if you need a really durable backpack, you’re in the right place: Patagonia products are as good as it gets. We know that sometimes, choosing a backpack can be daunting, especially if it’s your first professional outdoor model. In this top, we will present you with the best Patagonia backpacks to consider and the main perks each of them has. 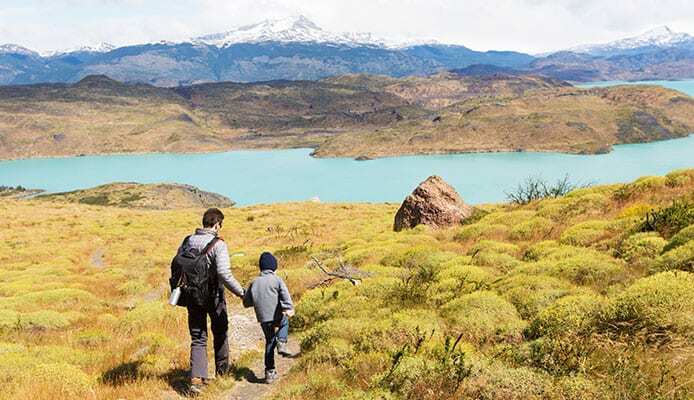 We will also walk you through the main characteristics to consider when choosing the best Patagonia travel backpack for your needs, as well as answer your most common FAQs. 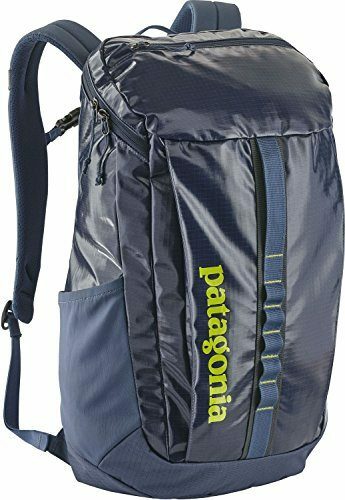 A small but super reliable Patagonia day pack, the Atom sling model is ideal for a short trip or any time spent exploring outdoors. It’s not big enough to contain everything you need for a several days trip, but ideal for a day trip. You can comfortably wear it while biking or hiking or simply during a long walk. If you’re interested in Patagonia school backpacks, this model can also fit the slot. You’ll have no problem fitting a few books and pens in it, along with a lunchbox and water bottle. According to many Patagonia backpacks reviews, it’s also ideal as a gym bag. You can also take your gadgets along, since the waterproof coating will keep them safe even in case of heavy rain. Rugged and attractive, this small bag seems perfectly balanced and designed. It will even stand up on its own if you put it on the floor, even while empty. If you don’t need a Patagonia day pack and you’re actually looking for a sturdy Patagonia hiking backpack, this should be at the top of your list. It can hold everything you need for up to a week of hiking (food and water for the entire not included, of course). It’s one of the bestsellers in the entire range of Patagonia products, and it’s ideal for both the outdoors and for business travels. Its incredible comfort is confirmed by most Patagonia backpacks reviews. Even if you’re climbing or walking with this backpack several hours every day for a week, you are not likely to get any kind of friction burns on your skin. You’ll feel right as rain wearing it, and it’s easy to reach for what you need inside, due to the great compartmentalization. The main compartment includes a padded laptop sleeve. The outer coating of this top rated Patagonia travel backpack is extra-thick and treated to repel water. It’s one of the most popular options out of all Patagonia waterproof backpacks, especially for outdoor trips with large storage space needed. The water repellant layer is extra durable so you can expect it to perform just as well in time. 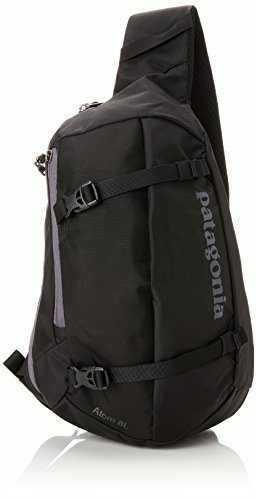 A great Patagonia backpack for men, with a multi-purpose use design. It’s a perfect companion to both outdoor adventures and a regular urban day (for school, sports, errands, and play). Sturdy and very accommodating (20 liters capacity), it will contain all your needed items (water, electronics, change of clothes etc.) and keep them safe from the elements. The durable water repellant coating keeps rain and moisture away. The main compartment is cavernous in order to provide generous space for more voluminous items. At the same time, you can find a padded laptop pocket in it. The other compartments are very well thought-out and contain numerous smaller pockets, nooks and crannies for keeping all your hiking and travel accessories well organized. A colorful Patagonia day pack to protect all your valuables and help you get around even if your day takes a surprising turn! This unisex model comes in many different and vivid colors, so it’s ideal for matching it with your general style. The polyester fabric is extremely weatherproof and durable, so you can expect to use it for a long time with no issues. As far as Patagonia school backpacks are concerned, this is one of the best. It will keep all school things safe, it’s stylish and can be part of a cool urban look. Also, its compartments are so well thought out that you can take with you everything you need. So, if you had your mind set on buying a Patagonia book bag or day pack, this model is exactly what you’ve been looking for. The Black Hole model is a legend even among the best Patagonia backpacks for hiking. It will prove to be your most reliable backpack for all your outdoor trips, lasting well for up to 10 or 15 years and keeping all your needed items safe. All of the fabric that went into this Patagonia hiking backpack is extremely weatherproof and the outer layer is water repellant. The main compartment is designed for easy access, and the padded laptop sleeve will accommodate devices up to 15 inches. 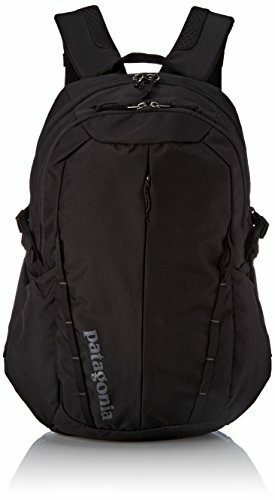 This top rated Patagonia travel backpack is medium-large, and will cater to your needs for up to a week away from home. Its compartments are so carefully thought out that you’ll find yourself not needing another bag, even for daily use. Since buying a top rated Patagonia travel backpack is an important decision, you need to consider several factors. Here are the criteria we usually base our buying decisions on. First of all, you need to ask yourself this: what are you planning to use your new backpack for, at least most of the time? Patagonia products cover a wide range of types, but they are also incredibly multi-functional. Patagonia school backpacks, for example, can also double up as completely reliable hiking backpacks, and so on. Still, you should make your choice of type based on the activity you will be using it for first and foremost. All of the Patagonia products are made from natural and sustainable materials. This is actually one of the most important brand promises and selling points. You can rest assured that your new Patagonia hiking backpack is crafted from a material which is both highly performant and respects the environment. Besides that, there isn’t much difference between the materials from which the best Patagonia backpacks are made. Simply choose one based on how it looks and what your personal preferences in fabrics are. 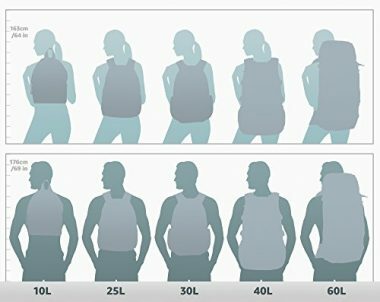 About the size: Patagonia backpacking backpacks come in various sizes, some of them significantly different. Think about what you plan to use your new gear for, how long will your trip be, how many things you need to take with you and so on. Last, but not least, also consider your body size and strength, since carrying a too large backpack can put a damper on your excursion mood. About the color: this is for most people a matter of preference. However, we do have a small word of caution or advice. If you’re hiking on relatively dangerous trials, you should consider wearing stronger colors for your gear and clothing. This goes for your Patagonia products as well. This way, your companions or the search and rescue teams can spot you easier. As long as your next backpacking trip is planned our rather well, you should have some idea of the compartments you need in your new Patagonia hiking backpack. As a rule of thumb, the more compartments, the better, of course. 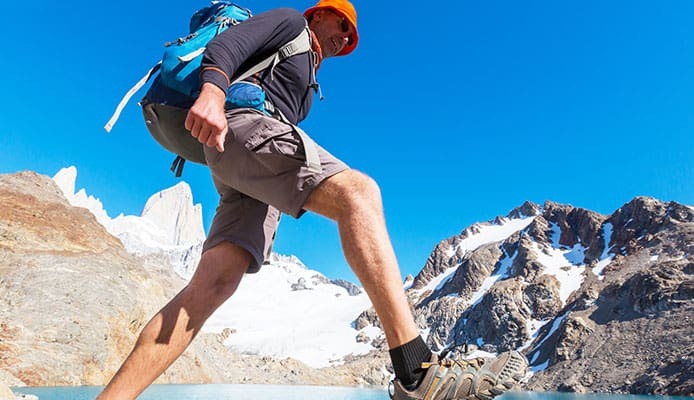 All of the top of the line products from Patagonia are super-comfortable to wear, even with long hours spent hiking. So, this isn’t really an issue since nothing you can choose will feel uncomfortable to wear. Still, fitting it right can make a difference in your level of comfort, as confirmed by many Patagonia backpacks reviews. Make sure your new product is adjusted to your body and all will be well. You will need to have a waterproof backpack for all outdoor adventures, of course, in order to protect the contents should the weather take a rainy turn. Especially considering that your backpack will most probably store electronic gadgets as well as a set of dry clothes to change in. Since not all Patagonia back packs are waterproof by design, you can either treat your backpack to make it waterproof, or wear a backpack rain cover on top of it. As mentioned above, the way your new Patagonia hiking backpack fits you can make all the difference in terms of comfort. Make sure you adjust it well before use. Check the straps and see how to tighten or loosen them. Then, put your Patagonia day back on and work those straps to adjust it for the best fit. You can even load a bit of weight in it beforehand; this will give you a better measure of what to expect while hiking. Q: Why Choose Patagonia Backpack? 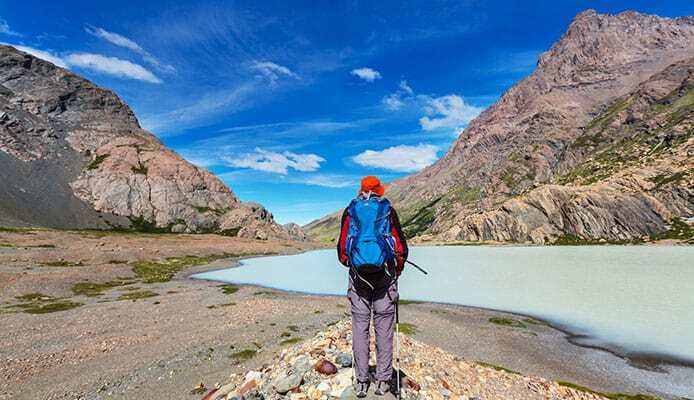 A: Simply take a look at some of the web’s Patagonia backpacks reviews and you’ll see that most hikers and backpackers are raving about the brand. Regardless of what kind of activity you have in mind, this manufacturer surely has a durable and high-quality rucksack for your needs. Most likely, you’re going to find each model to be pretty multi-functional, too. 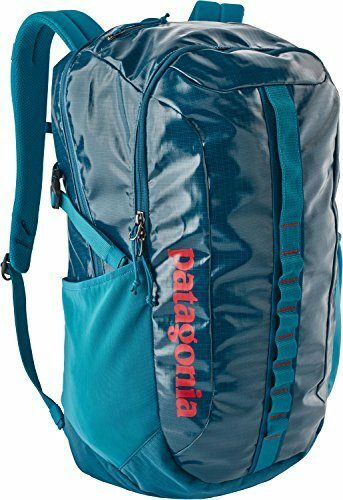 A reliable Patagonia book bag can also double as a Patagonia laptop bag, and any traveling backpack will serve you well even during challenging hiking adventures. Since you’re here on Globo Surf, you probably favor the outdoors and venture there as often as you can. In this case, simply pick up a Patagonia hiking backpack that suits your needs and you can be free to use it in all other circumstances too, even as a daily urban life bag. Q: What Makes These Backpacks Stand Out? A: There are several reasons for which the best Patagonia backpacks are beyond compare. Let’s start with the first one. As all other items manufactured and sold by Patagonia, their backpacks are truly top of the line quality. High performance, high durability and a high level of comfort are all normal things to expect from any of the Patagonia backpacking backpacks. Therefore, you can be sure that you won’t encounter any unpleasant incidents while hiking with your new top tier outdoors gear. You can basically keep them forever and even pass them on at some point; as long as you respect the care instructions the quality will not falter. Second of all, fans of the brand are head over heels with it not just because of the quality, but also because of its commitment to sustainable practices. Patagonia has made very transparent and high-profile efforts to find new ways of harvesting their materials sustainably, and their clients love it. If you also care about getting good gear for exploring nature in a way that also protects nature, then you’ll probably also opt for Patagonia products. Last, but not least, these backpacks have come to mean something among the community of hiking and outdoor enthusiasts. Patagonia stands for excellence and eco-friendly concern, and functions like a hallmark by which likeminded individuals recognize each other. The brand itself has become part of the identity for some of the outdoor fans out and about. Q: How To Clean A Patagonia Backpack? Do They Require Special Care? A: In order to prolong the life of Patagonia back packs, their proud owners should stick to a few care guidelines. But don’t worry, all the instructions for cleaning and caring for your top rated Patagonia backpack will be clearly laid out from the get go. These are printed on the labels and leaflets which come with every purchase. You’re probably wondering whether you can wash Patagonia backpacking backpacks in the washing machine or not. By and large, you can rest assured that they can be machine washed. Just make sure you use a very mild laundry detergent, preferably eco or bio-degradable. Then, remember to put your Patagonia day pack in an old pillow case before placing it in the washing machine. This will protect the fabrics from getting damaged during the wash. Other than that, just stick to the water temperature recommended for your backpack model and everything will be fine. For regular cleaning up, just to not allow dirt to build up on your backpack, you can use a mildly damp soft cloth to wipe it. The Patagonia waterproof backpacks and the non-waterproof ones alike can be maintained clean like this, just like a rain cover. You can take the time for a cleaning touch even on the go, while on your camping trip. All in all, keeping them clean will not prove to be hard at all. What we like most about the best Patagonia backpacks is their multi-purpose and how you can use them in all areas of life. Even as a committed hiker, you still need to deal with daily urban life when you’re not actually camping out. With this brand, you can totally sport your hiking gear during your off weeks in the city as well. A good Patagonia book bag or a cute Patagonia laptop bag can double up as a backpacking companion, too. Sky’s the limit! Staying Safe while Camping, Nps.gov. Safety Tips for Backpackers, SmartTraveller.gov.au. If you’re really dedicated to the lifestyle and values which come with frequent hiking and backpacking, your gear probably reflects that as well. It makes sense that you’re interested in the best Patagonia backpacks, and we hope our guide has helped you choose one. Is this your first Patagonia hiking backpack or have you had others? Which model would you recommend? Share your thoughts with the other readers in the comment section below!